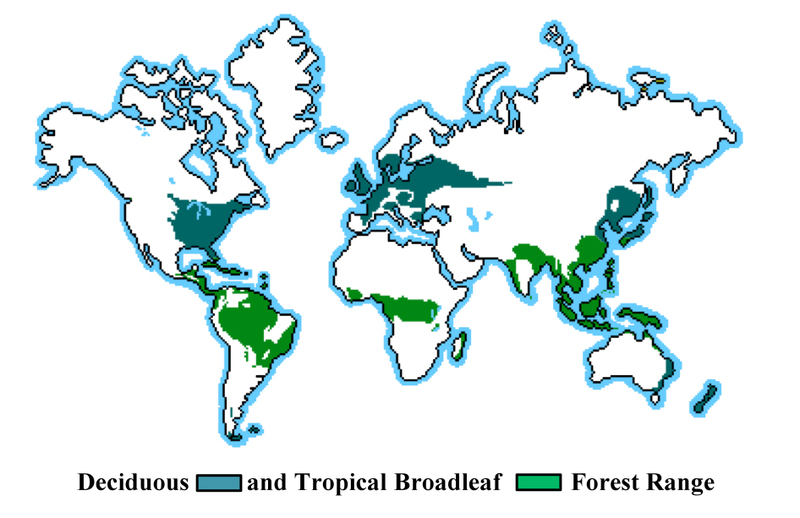 Hardwood- (or broadleaf-) dominated forests include temperate deciduous and most tropical forests across the globe. As a general rule, in the US, mixed-hardwood forests – forests comprised of several to many hardwood species – occur in the eastern one-third of the continental US, surrounding and east of the Mississippi River. In the tropics, hardwood forests are very much the rule, not the exception: “jungle” is a term that describes evergreen mixed-hardwood forests in the tropics.